Last month I ran into another situation where my phrase “small town Arkansas” applied. 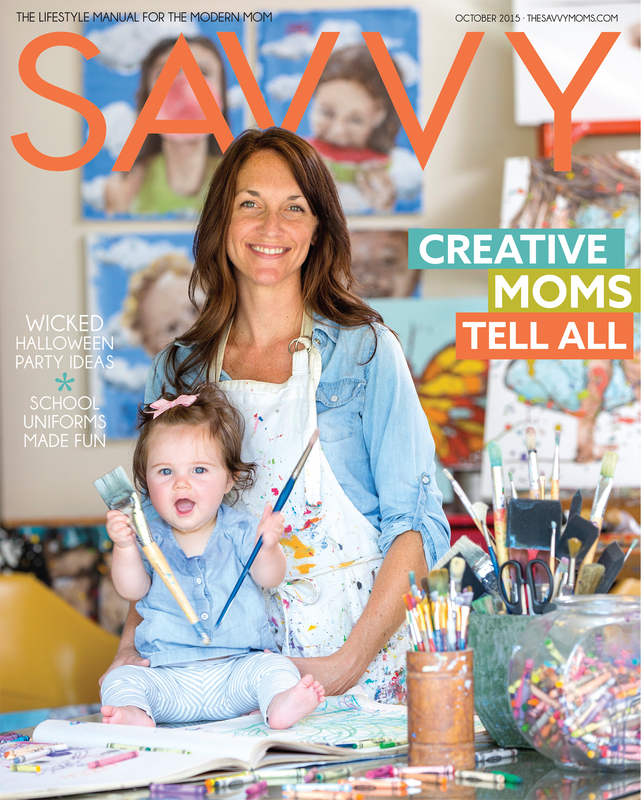 I was hired to shoot an environmental portrait of a mother and her children at her North Little Rock home for Savvy Kids Magazine. When the subject, artist Morgan Herndon, opened her front door I thought she looked very familiar. As it turns out, she is one of my sister’s best friends, and I’ve heard stories about her for years. I think six degrees of separation is far too many for Arkansas, I think three is much more accurate. I was very excited to photograph Morgan in her home studio because the natural light was absolutely beautiful, and I only needed to use one light to give the image the extra bit of “pop” that makes me happy. It was also wonderful that she had her amazing, fun and colorful paintings everywhere, and she had a table set up for the kids to color. Creative people always make the staging part of my job so easy, and I loved the fish bowl of crayons and buckets of paint brushes! Morgan has 4 gorgeous children, and our goal was to get a vertical image (think cover) with her and the kids drawing and having fun. Five people in a vertical is pretty tough, but we tried our best. In the end, we ended up photographing just the girls, and also photographing each boy separately. Even though we only got a few images where both Morgan and Lainey are looking at the camera, it worked out well because sometimes you only need that one shot… and this time it landed on the cover. I had a lot of fun working with her boys, and it was fun to see the personalities of each of them. I also loved working with the art director who came up with the fun ideas for each kid. I always enjoy a collaborative creative effort during photography shoots, I think it helps make stronger images, and makes the experience much more fun.